Are you interested in Botox, Bellafill, Skin Resurfacing/Tightening or other medical procedures that may help improve your appearance? 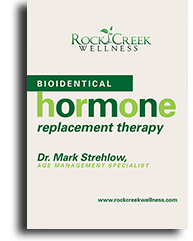 Rock Creek Wellness is pleased to offer regular specials and discounts that make age-management treatments more affordable for customers in Leawood and Kansas City. Check out our latest specials below, and please don’t hesitate to contact us with any questions about what you can expect. Ready to book a consultation? Just give us a call or book online by clicking the link below today! Don’t miss out on our next Cosmetic Injectable Event! We’ve expanded it to 2 days to accommodate the interest that’s been shown by everyone wanting to attend! We’ll also be offering 10% off all of our skincare products during our event only!